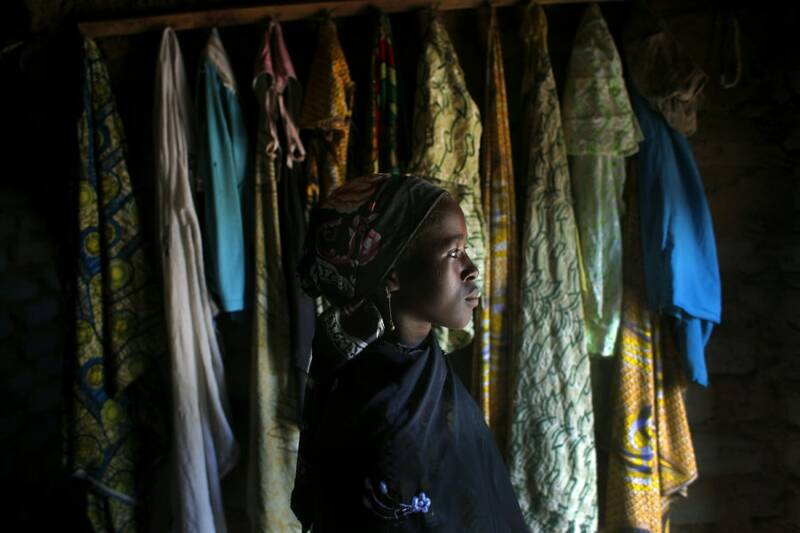 Sarey Amadou, 14, poses in her bedroom in the remote village of Hawkantaki, Niger, July 20. Even though the boy she had a crush on offered a dowry for her, her father insisted that she marry her first cousin, who lives several hours away in the larger village of Guidan Roumdji. 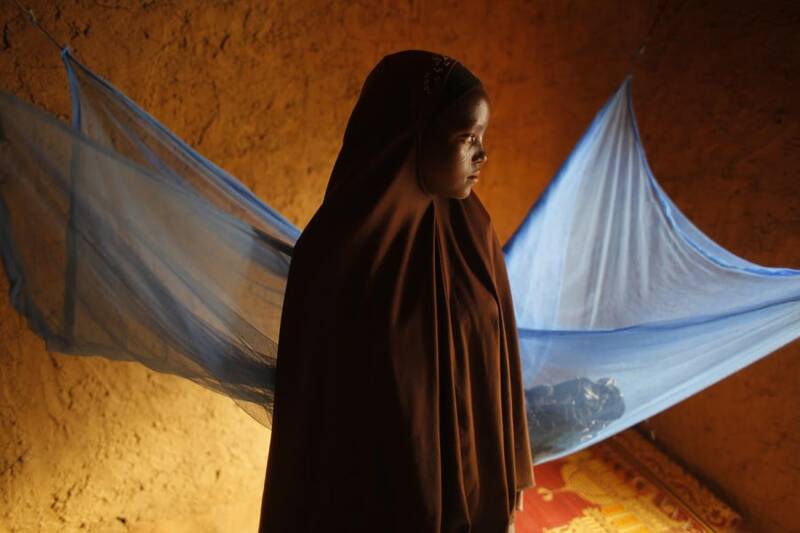 Even during the best of times, one out of every three girls in Niger marries before her 15th birthday, a rate of child marriage among the highest in the world, according to a UNICEF survey. Now this custom is being layered on top of a crisis. At times of severe drought, parents pushed to the wall by poverty and hunger are marrying their daughters at even younger ages. A girl married off is one less mouth to feed, and the dowry money she brings in goes to feed others. 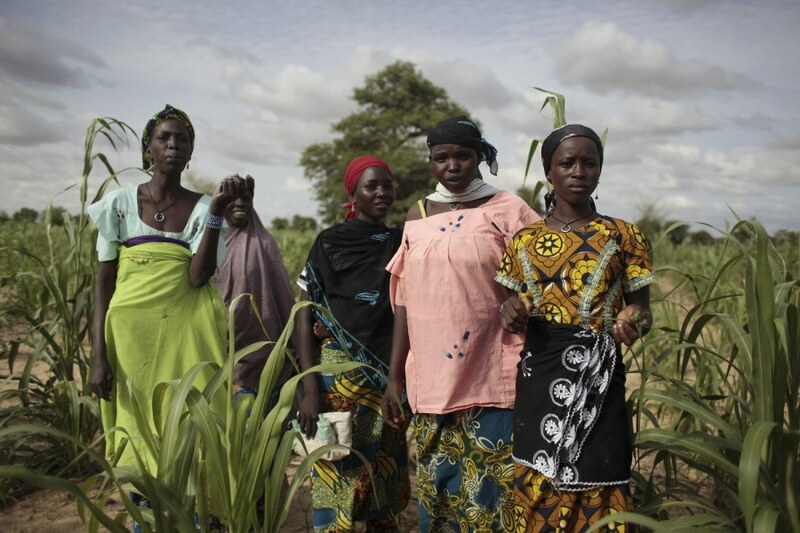 "Families are using child marriage, as an alternative, as a survival strategy to the food insecurity," says Djanabou Mahonde, UNICEF's chief child protection officer in Niger. 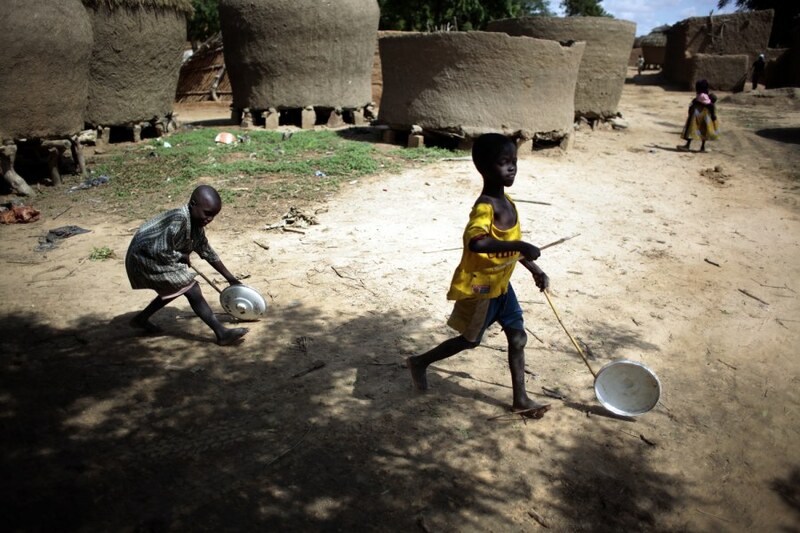 This drought-prone country of 16 million is so short on food that it is ranked dead last by international aid organization Save the Children in the percentage of children receiving a "minimum acceptable diet." 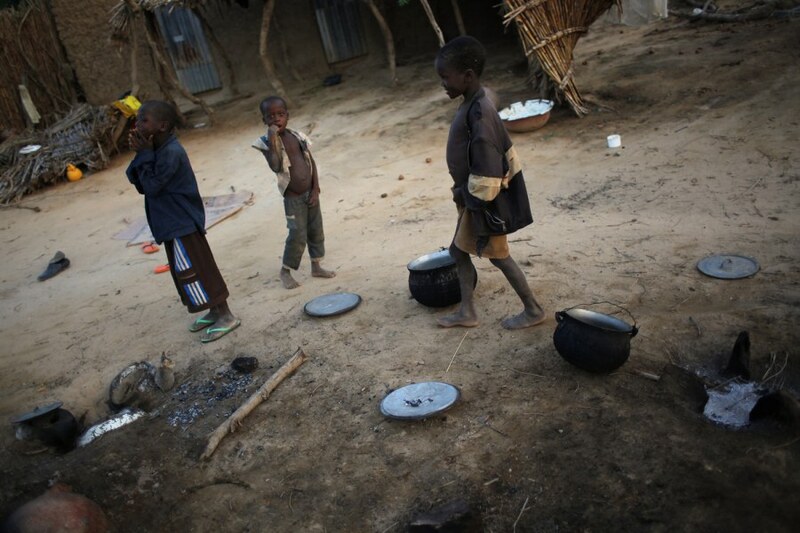 Children help prepare the evening meal in a courtyard in the remote village of Hawkantaki, Niger, July 21. In Hawkantaki, it is the rhythm of the land that shapes the cycle of life and crucially, when they marry their daughters. Young girls stand in a field of millet outside the remote village of Hawkantaki, Niger, July 19. In a normal year, the green shoots vaulted out of the ground and rose as high as 13 feet, a wall tall enough to conceal an adult man. This time, they only reached the waist. Rama, 14, poses in her bedroom in the remote village of Hawkantaki, Niger, July 18. Her mother says she is 12. Her husband brought a 100,000 francs ($200) dowry for her in the fall of 2011. Although her mother denies that poverty played a role in precipitating the marriage, Rama says her family would normally have waited at least one more year. "It's because the rainy season was not good that I was married off, and because we are very poor." Children play in the remote village of Hawkantaki, Niger, July 19. 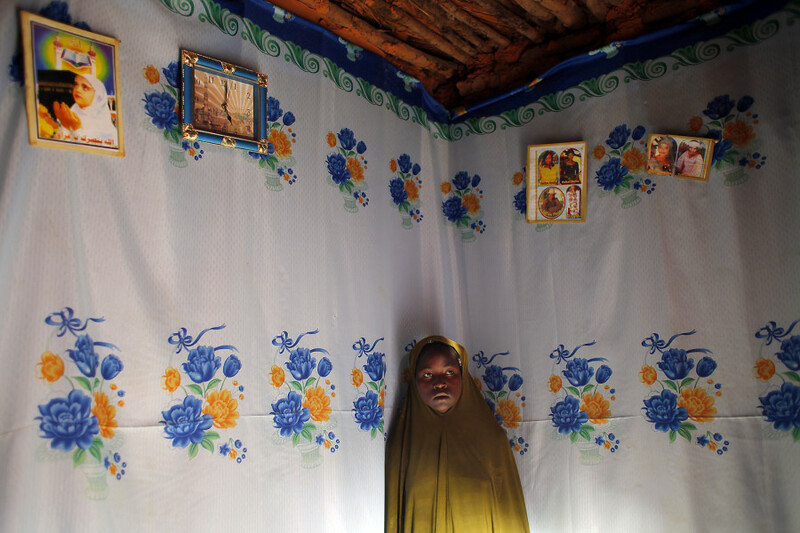 Shoubalee Lawali, 15, from Hawkantaki, poses in her bedroom in the remote village of Kintee, Niger, July 19. Her husband is in his mid-20s. 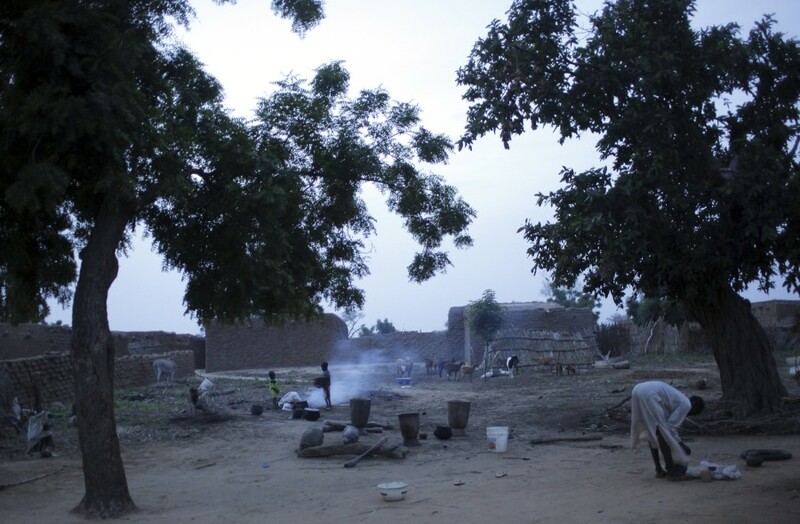 She was taken to his village, Kintee, where she now lives with him. "My father has three wives and 23 kids. There are lots of problems at home. I think it was for this reason that they married me. "Last year, before the start of the harvest, there were 10 girls in Hawkantaki between the ages of 11 and 15. By spring 2012, seven were married, and another two are engaged. 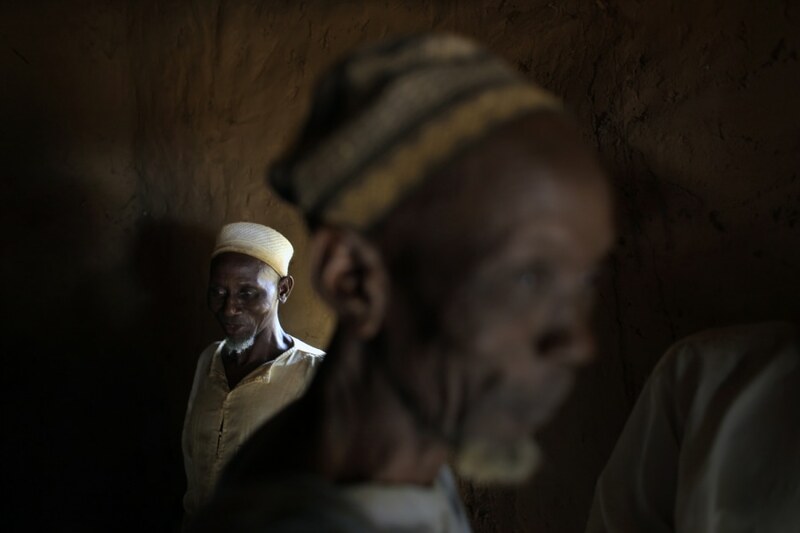 Elders gather for prayer at the mosque in the remote village of Hawkantaki, Niger, July 18. In Niger, the legal age of marriage is 15. The law, however, only applies for civil ceremonies officiated by the state. 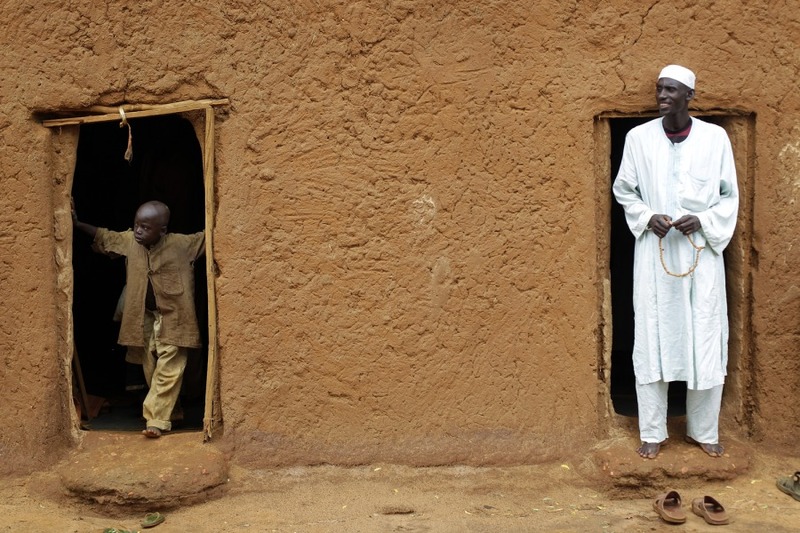 A man and a boy exit after prayer at the mosque in the remote village of Hawkantaki, Niger, July 18. 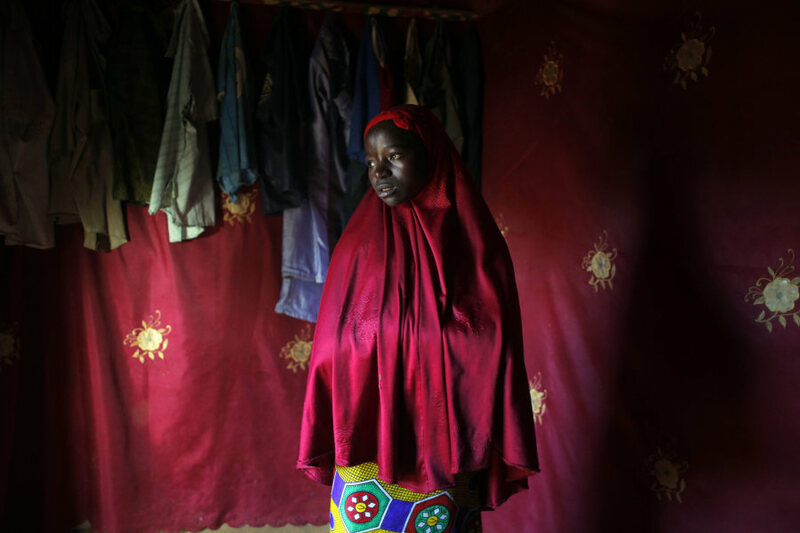 Sadiya Oumarou, 15, originally from Hawkantaki, poses in her bedroom in the remote village of Tabouka, Niger, July 19. Sadiya was the first of the girls to be married, leaving Hawkantaki for the village of Tabouka last year. One by one, her girlfriends were all married off except one. Like the others, she did not have her period when she became a new bride. 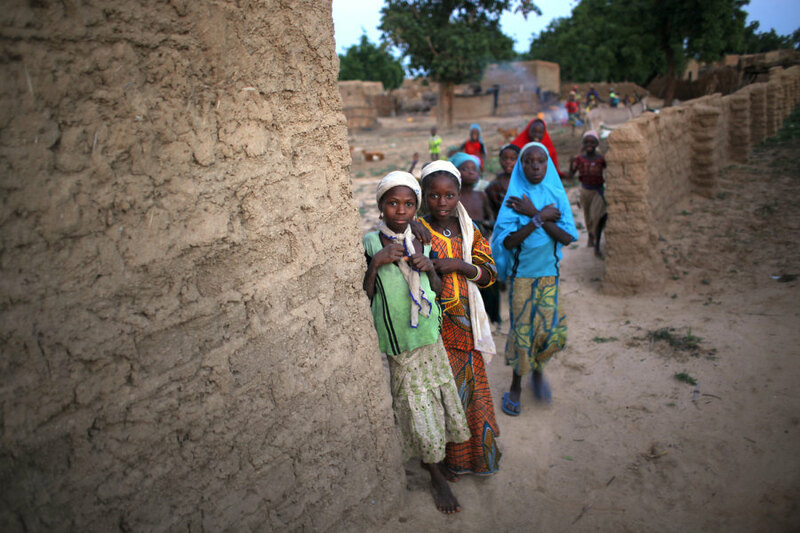 Children walk in a courtyard in the remote village of Hawkantaki, Niger. Aicha, 14, poses in her bedroom in the remote village of Kaihi, Niger, July 20. Originally from Hawkantaki, Aicha has been married for seven months. Young girls stare at a visitor in the remote village of Hawkantaki, Niger, July 19. Marliya, 14, poses in her bedroom in the remote village of Hawkantaki, Niger, July 20. 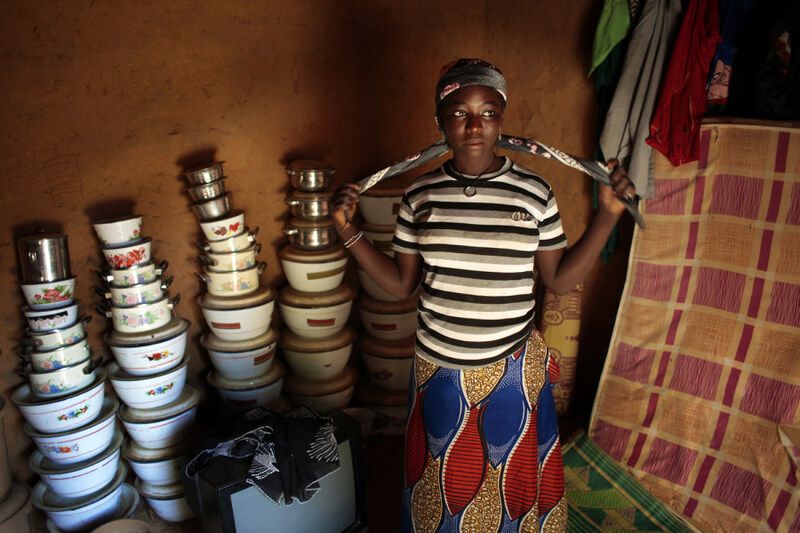 Marliya's family was paid just 50,000 francs ($100) for her dowry. Her father used up the money long before her wedding, and she was sent to her husband's home with only a tarp to sleep on. 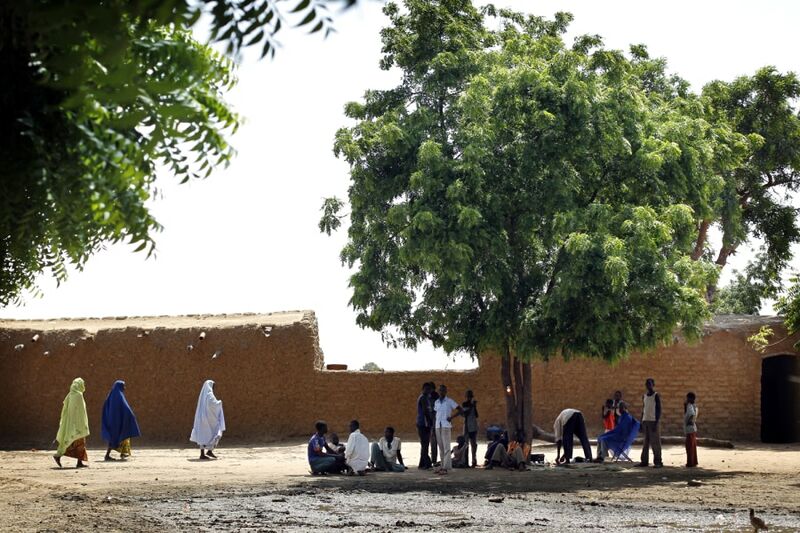 Young women walk past a group of men recharging their cell phones under a tree in the remote village of Hawkantaki, Niger, July 20. Zali Idy, 12, poses in her bedroom in the remote village of Hawkantaki, Niger. Zali was married in 2011. In January 2012, soon after she turned 12, she was carried on a bullock cart to her 23-year-old husband's home.